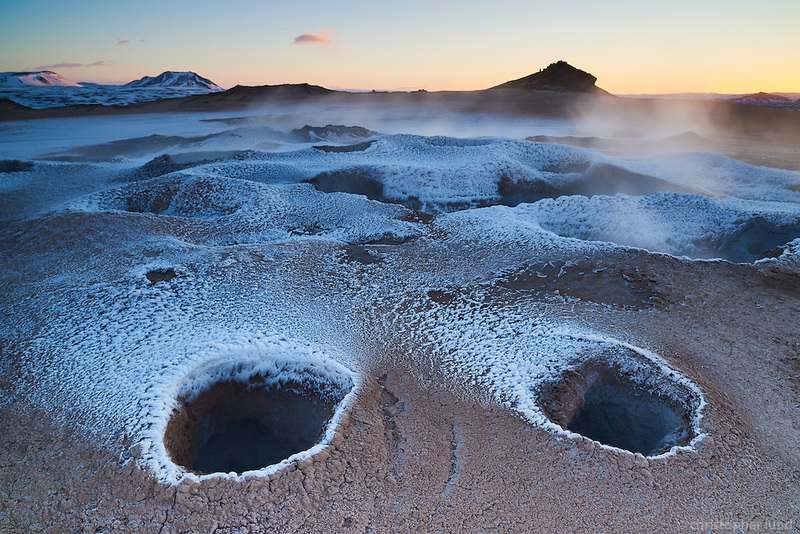 Námafjall Geothermal Area Mývatn at sunrise in winter. Mud pools boiling and steam coming from the ground. North Iceland.